Audiophiles everywhere know that open back headphones are a great way to listen to your favorite tunes or watch your favorite shows without that annoying feeling of ear fatigue. They provide a superior sound quality when compared to closed back headphones and offer a wider soundstage for any type of audio listening. 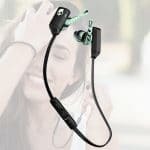 As their name advocates, these headphones have an open back cups, the sound-generating drivers exposed to the outside world, allowing for a more open-air sound to flow. The cups back open design allows for an enhanced sound, which can be appreciated by anyone. Also, check the guide for best closed-back headphones under 200 dollars. Let’s take a look at the top 5 best headphones with back open features that are available for under $200. 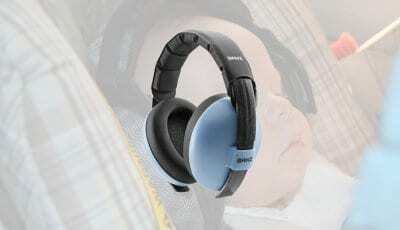 Sennheiser was one of the first brands to introduce audiophiles to the world of open-air back headphones. Back when they were first released, they introduced the world to an acoustically open sound that went unrivaled by all other headphones at the time. These great sounding headphones come with a fully detachable cable and an impressive 3-meters of cable. 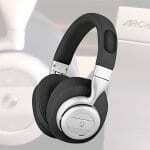 They have a rather stylish design and added to this are its very comfortable velour ear cushions. The HD598s have a 50 Ohm impedance and a frequency response of anywhere between 12 Hz and 38500 Hz. This wide signal range gives them a versatile soundstage and an admirable stereo separation. These cans use Sennheiser’s E.A.R. (Ergonomic Acoustic Refinement) technology. This works to guide the sound directly into your ear, as opposed to bouncing it around the inside of the ear cup. This means that not a single sound or tone will be wasted. 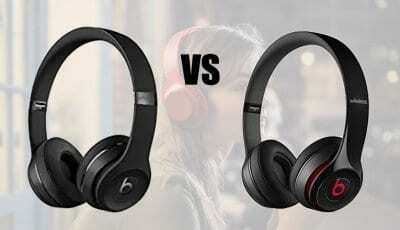 As most of us know, Audio Technica is a prestigious brand name when it comes to audio equipment. Over the years, they have continuously issued quality earbuds and headphones. And, not only do they offer a wide range of closed back headphones, the Japanese company also offers a premier range of back open headphones. Cue the ATH AD900X. These cans have a professional studio headphone design that means business. They have large 53 mm drivers in both the left and right can which deliver a totally natural, open-air sound. This free flow of air helps to enhance the audio within the headphones and fully immerses you into your sounds. 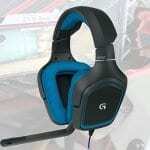 The ear cups are padded with a round foam piece for comfort. And, are still large enough for most people to wear over their ears comfortably for extended periods of listening. Furthermore, the AD900X has a 3D wing support, which adjusts to the size of the listener’s head. This is a great alternative to your typical one-size-fits-all headband which may not be comfortable for everyone. These headphones have a lower impedance of 38 Ohms, but still, don’t need an external amp to be powered. Whether you’re listening to hard rock, jazz or acoustic, these are great for almost any type of listening experience. 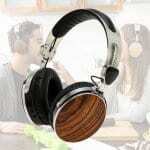 You might also be interested in best studio headphones under 100 dollars. 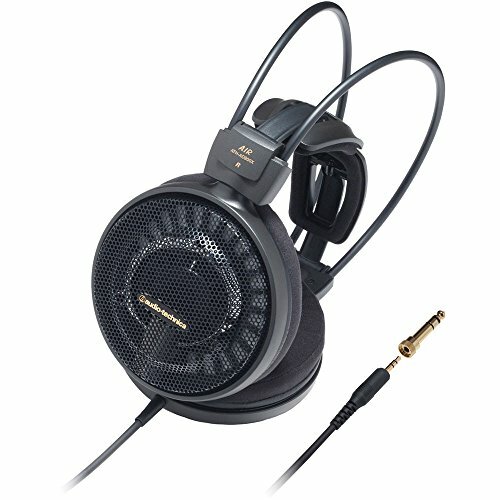 From the Austrian leader in quality headphones comes the AKG K702s. They are a full-sized open back model that delivers a precise audio signature, an impressive soundstage and come with an ultra-convenient 10-foot detachable cord. 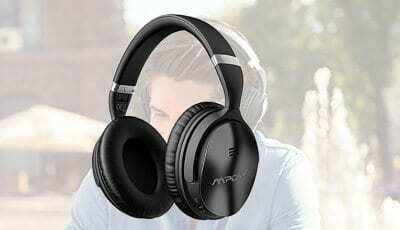 With their combination of quality and style, these headphones rival many other more expensive high-end headphones that are available on the market. The AKG K702s deliver a dynamic and punchy sound that remains crystal clear across the entire audio spectrum. They deliver precise musical details and a focused bass signature that can be appreciated by musical connoisseurs everywhere. 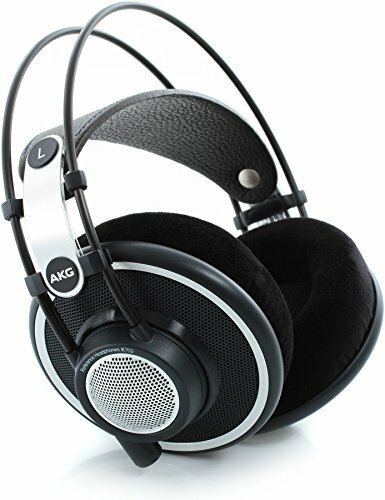 These headphones offer several unique features that deliver considerable improvements over other AKG models. Take for example the VariMotion diaphragm that provides an improved high-frequency range and a better performance at lower frequencies. 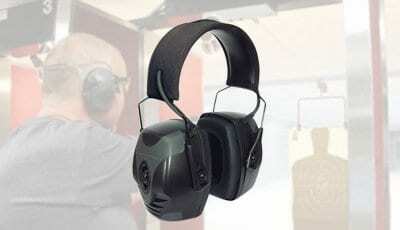 The ear cups are ergonomically shaped and made of a comfortable velour fabric. Furthermore, they are designed with the drivers at a precise angle to direct sound perfectly in your ear for a smooth and correct listening experience. 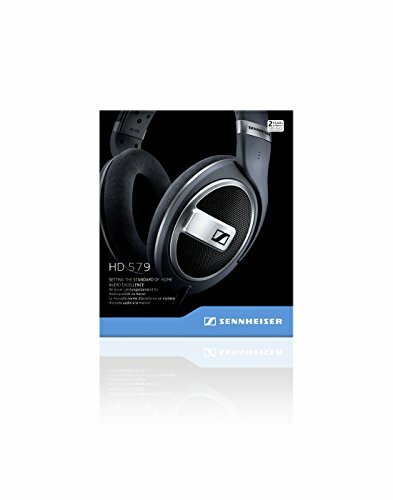 Sennheiser’s HD 579s deliver a solid level of sound quality in a stylishly designed over-the-ear model. This allows you to fully immerse yourself in your listening experience for extended periods of time. As with Sennheiser’s other headphones, the 579s make use of E.A.R. 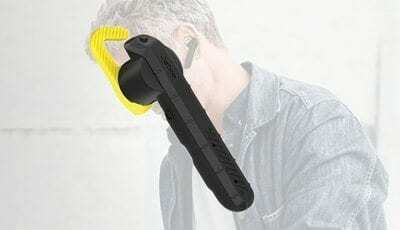 (Ergonomic Acoustic Refinement), which directs the audio into your ear canal. This ensures that you won’t miss a single note. They are perfect for at-home listening and their open-back design offers a detailed sound that is sure to not disappoint. With a lengthy 3-meter cable, these headphones are an excellent addition to any sound system. They are designed with larger ear pads that fit comfortably over your ear and the wider headband’s cushion offers an added level of comfort. The 579’s combination of the cups open design and superior transducers create a well-balanced soundscape that you won’t be able to get enough of. Their full size and replaceable cushions make them great for extended listening. And, their metallic design gives them a look that will turn heads wherever you go. 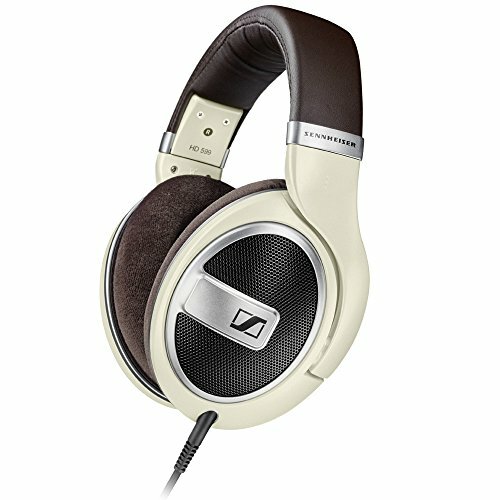 Overall, another great pair of headphones from Sennheiser. 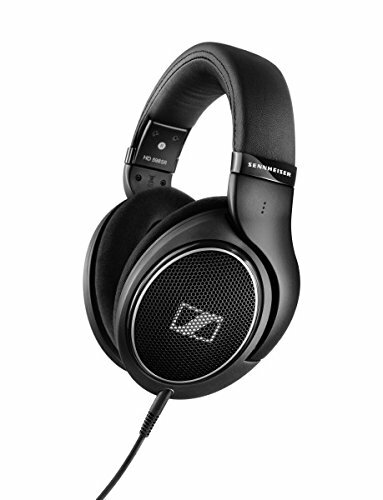 Another excellent model from Sennheiser’s lineup, the HD 599s are a great choice for all of your audio needs. They have the cups open design that allows for a truly immersive listening experience. And, an ergonomic, around the ear design that is meant for extended listening. Furthermore, the ear pads are soft and replaceable for extra comfort. The 599s come with two detachable cables. One is a 3-meter cable terminated in a 6.3mm jack and the other is 1.2-meters long and ends with a 3.5mm jack. 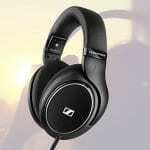 These headphones are powered by Sennheiser’s superior 38mm drivers that are designed to direct sound into your ear. With a 50 Ohms impedance, these cans deliver a high-quality listening experience for watching TV, movies, listening to music or playing video games. Regardless of what you plan on using them for, Sennheiser’s 599s are an excellent addition to your audio arsenal and are guaranteed to keep you satisfied.